A century ago, the Russian Revolution broke out in November of 1917, followed by a bloody civil war lasting until the early 1920s. Millions of families were displaced, fleeing to Europe and Asia. One of the many emigrant stories was that of Prince Nikolai Trubetzkoy. Young Nikolai Trubetzkoy was something of a prodigy, publishing work on Finno-Ugric folklore at the age of just fifteen. At Moscow University, he studied Indo-European comparative linguistics, completed a master’s degree and joined the faculty as privatdozent, or private lecturer, offering courses in Sanskrit. Throughout his life, Trubetzkoy suffered from health problems, and he was taking a break from teaching to recuperate in Kislovodsk, in the North Caucasus, when the Soviet Revolution broke out. He never returned to Moscow. He and his family made their way to Baku in Azerbaijan, then northwest to the port city of Rostov-on-Don, later to Sofia, Bulgaria, and finally to Vienna in December of 1922. 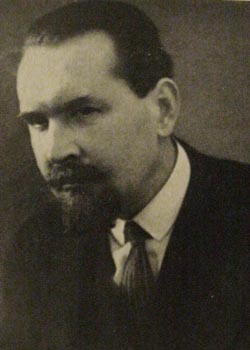 Nikolai Trubetzkoy in the 1920s. Public Domain via Wikimedia Commons. In 1923, he became Chair of Slavic Philology at the University of Vienna and began an intense period of scholarly work and teaching, giving five lectures weekly on topic in Slavic languages, literature, and later linguistics. Trubetzkoy also kept up a lively correspondence with his friend Roman Jakobson and in the 196 letters Jakobson preserved we see insights into Trubetzkoy as a person. His financial situation and health concerns were ever-present, as were worries about the reception of his and Jakobson’s linguistic theories. As an emigre, his interests had evolved. Folklore research in the Caucasus was no longer possible. His teaching assignments in Vienna broadened his interests to modern literature. Jakobson invited him to join the newly formed Prague Linguistics Circle and Trubetzkoy periodically made the long trek from Vienna to attend their meetings and present his work. The connection with Prague would also shape his research. Since 1915, Trubetzkoy had planned to write a pre-history of the Slavic language, but that work would only be published long after his death. Trubetzkoy first took on the more fundamental task of developing a methodology to study the sound pattern of language. His synthesis and insights from nearly two hundred languages formed the basis of his most famous work, the Grundzüge der Phonologie (Principles of Phonology). But Trubetzkoy’s interests went beyond linguistics. He saw history as shaped by oppositions between historical forces, not unlike the oppositions that defined sounds. During his period in Sofia, Trubetzkoy wrote a political book called Europe and Mankind, part of a planned trilogy on problems of nationalism. Trubetzkoy called for a “revolution of consciousness” and warned against nationalism. He became one of the leaders of the movement known as Eurasianism arguing that similarities of language, art, religion and temperament would result in cultural unions resistant to colonization. Roman Jakobson. 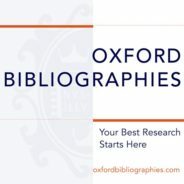 Philweb Bibliographical Archive, CC BY 3.0 via Wikimedia Commons. Trubetzkoy kept up his political writing in the 1920s and 1930s, following Europe and Mankind with a sarcastic preface to a translation of H. G. Wells’s Russia in the Shadows. His 1923 essay “At the Door: Reaction? Revolution?” argued that political progress always becomes a new status quo. In all, he would publish nearly a dozen essays on politics including critiques of the Soviet and Nazi regimes in such essays as “On the Idea Governing the Ideocratic State,” “The Decline on Creativity” published in the mid-1930s. Trubetzkoy became a public opponent of Nazism, and his 1935 article titled “On Racism” warned that the historical anti-Semitism of the Russian intelligentsia would allow it to be manipulated by the Nazi agenda. His political writings would also contribute to his death. In March of 1938, after the Nazis annexed Austria, Trubetzkoy’s Vienna home was searched by the Gestapo, his papers were confiscated, and he was subject to a lengthy interrogation at Gestapo headquarters. The strain was too much for Trubetzkoy’s already existing heart condition. Trubetzkoy collapse and was hospitalized. He died in a hospital in Vienna on 25 June 1938. Trubetzkoy’s legacy lives on today, preserved by others. 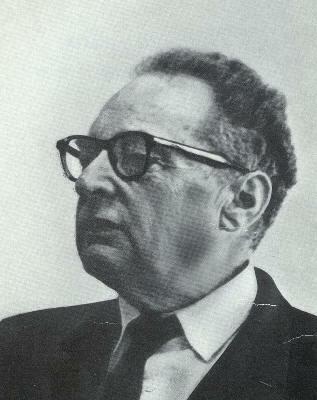 Roman Jakobson ensured that the German edition of Principles of Phonology was quickly published in 1939, and Trubetzkoy’s ideas about distinctive feature theory and markedness made their way into modern phonological theory by way of Noam Chomsky and Morris Halles’s Sound Pattern of English. Vera Petrovna Trubetzkoy, who had been an intellectual partner to her husband, saw to the publication of Trubetzkoy’s literary studies in the 1950s, and in 1991, Anatoly Liberman guided the translation and provided critical commentary on much of Trubetkoy’s political writing in The Legacy of Genghis Khan and Other Essays on Russia’s Identity. And today, nearly a century after his exodus from Russia, Trubetzkoy’s intellectual courage and commitment remain important. Featured Image credit: bas-relief of Nikolai Trubetzkoy in the Arkadenhof of the University of Vienna by Vanja Radauš, 1974. Hubertl, CC BY-SA 4.0 via Wikimedia Commons. Edwin Battistella is professor of linguistics and writing at Southern Oregon University. He is is the author of Sorry About That: The Language of Public Apology (Oxford University Press, 2014) and the Oxford Bibliographies in Linguistics article “Nikolai Trubetzkoy”.